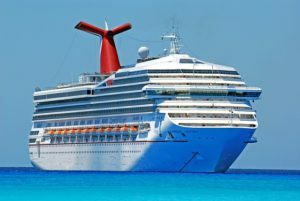 Travel Promo Codes and Tips For a Great Cruise! 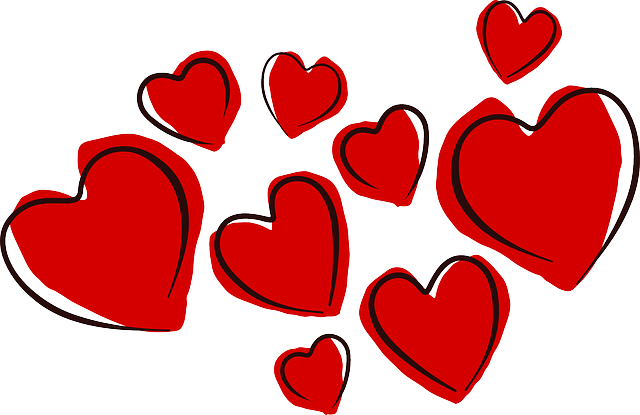 Whether you’re spending Valentine’s Day with your long-term partner or a new flame, it’s good to show creativity and romance when you’re planning your date. After all, there are so many more exciting options than plain old dinner and a movie. Pick one of these fun, alternative date ideas to impress your paramour this February 14.
Who doesn’t love a road trip? It’s the chance to chat, bond, and explore your surroundings. Pick a route somewhere near you and enjoy some good music and junk food while you cruise around. To really take you out of the day-to-day, you could rent a car that you’ve always wanted to drive. Places like Avis and Budget offer budget car rental coupon codes – deals so you can try that car out you’ve always wanted to drive…and relax all weekend. You can stay at a bed and breakfast and probably get a great rate on it, thanks to Priceline, Hotwire, and other last-minute hotel booking sites. There are also members-only prices on hotels available from some providers as well. If your beloved is an early riser, take it one step further and make a breakfast picnic to eat while you watch the sunrise. This romantic option is perfect if you’re trying to surprise your sweetheart. Everyone remembers the excitement of childhood sleepovers, of watching movies, gossiping, and sharing secrets late at night. Get hold of your beau’s favorite snacks and films (and maybe even a couple of face masks) to recreate the feeling at home. If you or your partner are the creative type, try going to an art class. Life drawing will give you a giggle, and if you don’t make great art, you’ll at least come away with some fun keepsakes. Even if you don’t believe in anything supernatural, visiting a psychic can be an exciting way to discuss possible futures with your beloved. As a bonus, it’s also usually super-cheap. Fruit picking is fun and active, and it gets you outdoors. Find an orchard or berry farm near you, and bring a blanket so you can have a fruity picnic afterwards. There’s nothing like giving back to bond you together. Find a charity you’re passionate about and spend the day volunteering with them. For a truly luxurious experience, book some massages at a day spa and spend the afternoon relaxing and enjoying a bubbling hot tub with your sweetheart. Pick out some movies you’ve both talked about but never seen, and queue them up for a snuggly movie marathon. You can even pick a genre or theme to add more structure to this stay-at-home date. Go to a flea market or thrift store together and try to find gifts for one another within a low price range. You’ll have fun and come away with something unique and memorable to help you remember the day. Your sweetheart will love these exciting date ideas so take this chance to show them you adore them by planning something creative. How Hotels.com Coupons Can Enhance Your Cruise Experience. Hotels.com Promo Codes Offer More Than Just Cost Savings. If you’re thinking of hopping on a cruise in the new year, you may want to consider booking your cruise using a hotels.com coupon website. Why? 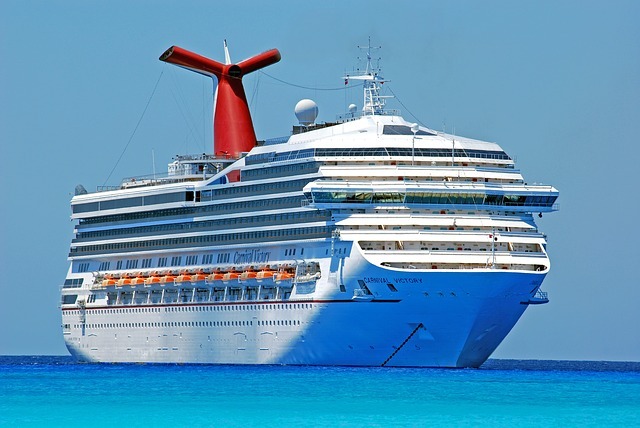 Well, a little-known secret is that they tend to offer special cruise discount offers along with the coupons that give you onboard credits, extra nights for free and other cool free items that you won’t find if you book directly with a cruise company or a travel agent. What to do with all that extra money to spend on a cruise? How about a shore excursion? Cruises are a great way to spend a holiday if you enjoy seeing new sights and visiting new places. Instead of spending all your time in one resort – however relaxing that may be – a cruise lets you see several different sides of an area without all the hassle of travelling from point to point: on a cruise, the travelling time is often the part of the holiday where you can relax the most. There is a downside to cruises though, and it’s that when you stop off at a port you usually only have a limited time to explore, and no matter how well you plan your shore visit the chances are you’ll miss out on a lot of valuable sights and experiences simply through a lack of local knowledge. This is where the services of a private shore excursion organizer come in. The words ‘shore excursion‘ might bring to mind coachloads of camera-toting holidaymakers being bussed from tourist trap to tourist trap, but these days such tours are a far cry from this old cliché. For a start, you can choose to travel in groups as small or as large as you like, and your transport is apt to be a luxury air-conditioned car rather than a rickety old bus. Likewise, your guide can be as active or as passive as you like, either leading you every step of the way through the most visit-worthy spots, or simply acting as a facilitator offering gentle guidance and assistance should you need it. However, never underestimate the benefits of a local accent when it comes to skipping lines of tourists at busy attractions! Some shore excursions will offer a defined itinerary, taking the work out of planning your day, while others are much more relaxed and will let your group lead the way, with the guide offering helpful advice on such weighty matters as the best places to eat, the attractions which are most worth seeing or the most overpriced, and where to go if you want a peaceful drink away from the crowds. The very best tours will combine elements of the two extremes, setting up a loosely structured timetable of places to visit but with plenty of flexibility to tailor the day to your group’s preferences. Lastly, after what was hopefully a great day out, your guide will provide one final service, which can be a very important one in a foreign country with unfamiliar language and public transport customs: making sure you get back to your ship in time for departure, whatever unexpected hurdles fate may place in your way! After all, you just saved a lot of money thanks to Coupon Coder and a few thrifty shopping decisions. You don’t want to get left behind! We all love a bargain but even the most reasonably priced cruises can end up costing you the proverbial arm and leg in extra charges. For all the great cruise deals that come with onboard credits, the cruise ship industry still manages to turn a hefty profit anyways. We can give you some tips, as well as resources to help you save money on cruises. If you end up needing to fly or stay at hotel accommodations near the port you are leaving from or arriving at remember that you can use coupons to get a great deal: view website. Here are some traps to avoid and a few ways to skirt spendy extras. Bring airline-sized bottles of booze. They are only a couple of bucks each and since you are going to pay double for a soft drink you might save some money by mixing your own cocktails in your cabin. You can get your cabin attendant to bring you ice at least once a day upon request but you are going to be expected to tip him or her at the end of the cruise. Another alternative is to buy a cocktail or wine package when you book your trip. For teetotalers: If you’re sneaky, you can fill up your water bottle in the buffet. It’s supposed to be a no-no, but nobody really cares. It’s also a lot cheaper to get a bottle of bubbly water, wine or soda in port than on the ship. Every time you stop at a port you are faced with the prospect of laying out cash for lunch, drinks or snacks. Pack a few extra plastic baggies and you can save big bucks. The onboard breakfast buffets always include meats and cheeses and you can use those to stuff baguettes or croissants or fill slabs of good old white bread with ham and Swiss or salami and cheddar. By the time you’ve braved the exiting crowds to get to port you’ll probably already be hungry enough to scarf them down. This leaves you far more time to explore the sights in real time rather than just from the viewpoint of a tourist guide. If you like, for instance, lots of pillows and an extra comforter, ask for them. It’s free and makes one feel quite decadent. Be sure to check the daily ship’s roster or newspaper to find out where to take tango lessons, learn to fold napkins or taste new kinds of ice cream. Depending upon your ship, you might find your perfect opportunity to learn rock wall climbing, stationary surfing or even zip-lining. Even if you scream like a little girl, you’ll never see those people again, so who cares? And remember, you can eat all ten offered desserts if you like and there’s really nothing like eating an ice cream sundae by the pool. The cruise line will charge a pretty hefty price for a tour but you can use your own resources to find a guided tour in any port for about half the tariff. Buddy up with some people waiting for the bus and ask them if they’d like to share a taxi or, better yet, even the tour. It’s a lot less hassle and you get the added information from your friendly (usually) cab driver. Just make sure to keep track of the time so you get back to the ship before she leaves you at the dock. Internet on board is mind-numbingly expensive but there are ways to get around it. You’ll be in a new port almost every day and it’s crazily easy to find internet service in cafés around the world. If you have an unlocked phone you can get a data card for almost anywhere in the world and use it as a WiFi hotspot or to activate your chosen cell phone translator service. It’s a lot cheaper than relying on your standard carrier’s roaming services and scary rates. Bring a GPS navigation device and you won’t have to rely on WiFi service to get around the new port city. Carefully inspect the tipping policies of your specific ship. Depending on the cruise line and the country, you may find that tips for drinks are already included and that a daily per-person charge is added to your tab for general tipping. However, if you get extraordinary service in a free restaurant or extra help from your cabin attendant, it is appropriate to slip them a little something at the end of the cruise. Ask the hospitality desk if you can’t determine tipping protocol. Cruising, if you’re not one of the one percent with greenbacks to burn, can be costly beyond your initial budget. With a little planning and a smattering of deviousness, you can cut some corners. Make it a challenge and come back from your adventure with great memories and still enough bucks to go out to dinner in your home town. You are, remember, in charge of your own vacation and with a little homework you can be the captain of your own cruise.